Robert Ray - Texas - Book a consultation instantly! In addition to his work as a trial attorney, national and international corporate development advisor and attorney for numerous Houston area businesses and individuals, Robert Ray is a jury psychologist and Chief Trial Consultant for Veritas Research, L.P., a leading national jury consulting company with offices in Houston, Denver and Sacramento. Since 1998, Dr. Ray has provided research and courtroom consulting to attorneys in cases throughout the United States. His consulting, theme development and strategy advice has been sought by attorneys representing individual plaintiffs to Fortune 500 defendants in national mass tort litigation. He has provided research and consulting advice in mass tort actions such as tobacco and pharmaceutical litigation to insurance disputes and entertainment and publishing cases. Dr. Ray earned his Ph.D. in social psychology from the University of Nebraska’s Law & Psychology Program. Before his Ph.D., Dr. Ray earned his law degree at South Texas College of Law in Houston, and was a briefing attorney to Texas’ Sixth Court of Appeals. Before entering the world of trial consulting, Dr. Ray practiced trial law for over twelve years, and tried over forty cases to jury verdict. He also holds a Master of Arts degree in psychology from the University of Nebraska and his Bachelor of Arts in Journalism from The University of Texas at Austin. 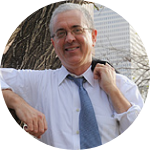 Dr. Ray is actively licensed to practice law in Texas and Nebraska, a member of the American Society of Trial Consultants, the American Psychology and Law Society, the College of the State Bar (Texas), a Life Fellow of the Texas Bar Foundation and volunteers his time advising men on interview dress and appearance for Career Gear Houston.